Ingeborg Make Up using Viseart Blush and eyeshadow for a monochromatic pink make up look. Faith Lynch shot by Dennis Leopold at Angela De Bona Agency. 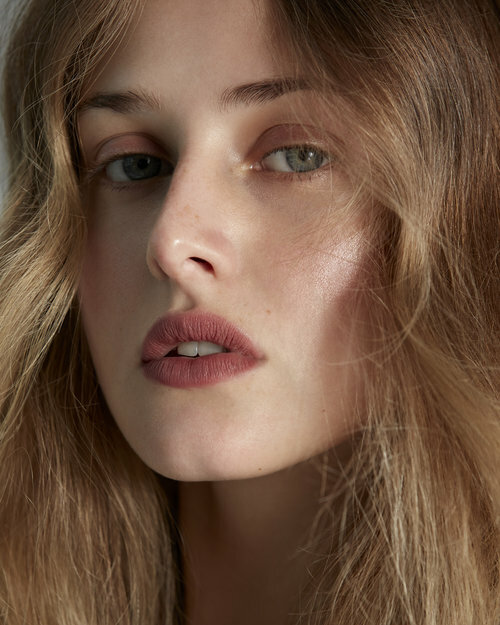 Ingeborg Make Up works with photographer Dennis Leopold and model Anna Van Patten. A matte lipstick look using Fenty Beauty Stunna Lip Paint Long wear Lip Color in “Uncuffed” , a matte Rosy Mauve. Ingeborg make up artist, glowing make up created with RMS Beauty’s organic, non toxic make up.